Parent-Teacher Conferences is always one of our favorite weeks. It's busy but showing parents and guardians what their child is learning never stops inspiring. As teachers, it can be easy to focus on whether or not a student is meeting the standards set for a class. But in conversations with parents, they remind of us of the ultimate goal: HOPE. Jesus is bringing restoration to a community where education was once not a reality. Now there is opportunity and with that, hope. Today we had the conference of a student who has been struggling at school. He acts out in class, has difficulty with his work, and often runs away from class! To be honest, I wasn't looking forward to the conference. But when his mother came, she quickly shared how her son comes home and tells her all about his day. She said he loves school and his teachers. She even shared that if she wants him to behave at home, she tells him he can't go to school the next day! I couldn't believe that this boy who keeps running from class, actually loved school! What an encouragement! It reminded me of our Father: we keep running, He keeps chasing. This year, one particular student has struggled with school. It was hard to motivate him to come, engage, or do his work. For the past couple of years, the headmaster often had to go out into the village, find him playing, and bring him to school! But recently, we started to see a change in him. He was doing his homework and coming to school on time. We met with his mama for conferences today and she had such encouraging feedback. She said, "Before, when he would bring a book home, he never wanted to read it. Now, he comes right home, pulls out his book and reads to us. If there is a word he doesn't know, he asks for help or works through it. Now, we don't have to wake him up for school and make him go. Instead, he gets up early on his own so he can be there on time. He even has started washing his own uniform!" Hallelujah that our God is one of transformation! He is giving children opportunity through education and showing them what they can do in Him. 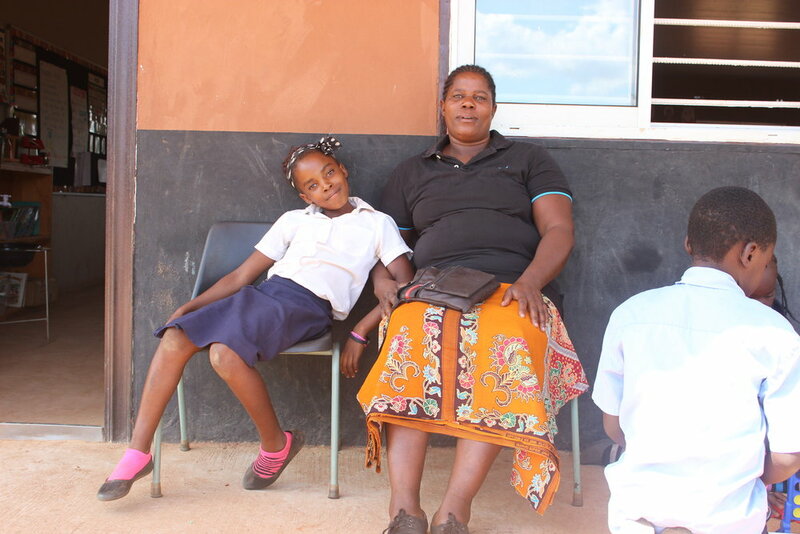 Many of our students' parents, grandparents, and guardians never completed their education. They rejoice when they see their child reading and writing. One grandmother shared that she never learned how to write her name - and now her grandson could. This community is so proud of their children. They see the opportunity God is giving them through an education and are quick to support! We hear countless stories of students taking what they learned at school and bringing it home to their parents and family. Students teach their parents the tools they are learning for reading, such as phonics. They are sharing with their siblings how to add and subtract. They take what they learn about good hygiene and bring it to their home. Most importantly, these students are bringing what they've learned about God and sharing it to their mamas, daddies, siblings, and neighbors. They are teaching others to pray and telling them who God is. God is using these students in mighty ways and will continue to use them to bring hope to their families, communities, and world! Hearing these stories and seeing our students grow is showing that our mission, to raise servant leaders for the Kingdom, is ALIVE!